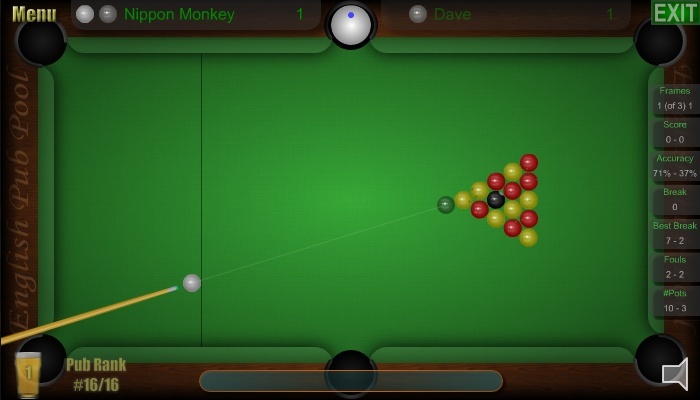 Try out the English Pub Pool Facebook App with friends leaderboards and special daily trophies. Click here for more information. Play 8-Ball & Straight Pool tournaments against computer players. Are you good enough to be #1?